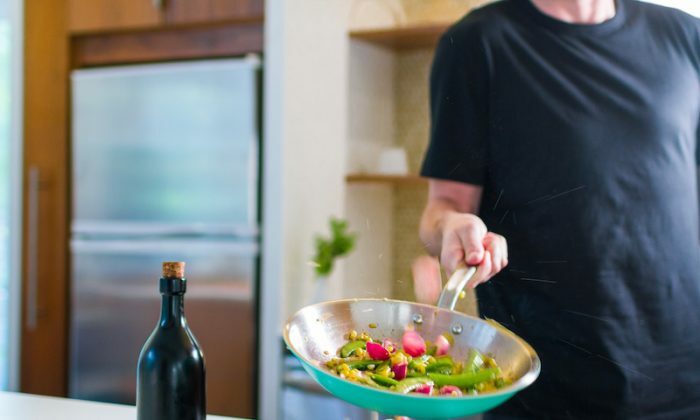 Made In, a direct-to-consumer cookware company that sources and manufactures in the United States, has launched a Summer Fry Pan Collection. The bright colors—Bikini Blue, Fresh Cut Green, Popsicle Red—are the icing on the cake. The colors are fun, but the five-ply stainless steel pans are high-performing and seriously well-made. After testing them out in the kitchen for a couple of weeks, I found they conducted heat evenly and surprisingly quickly compared to my regular cast iron pan. The clean-up was also much easier. The pans are made of 18/10 stainless steel, induction compatible, and oven- and dishwasher-safe. Co-founder Jake Kalick said manufacturing in the U.S. gives the company a competitive advantage.